“Lola being here really helps to create a safe environment. It can be really difficult being a teenage girl in school, but with Lola, we can discuss any problems or issues and we really relate and bounce off each other. Time is really flying, and these sessions with Lola help give you a clear view and confidence for the future”. 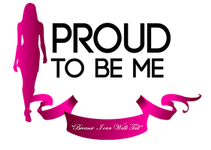 Proudtobeme (PTBM) is a non-profit organisation that exists to empower, educate and help young ladies from less privileged backgrounds, between the ages of 13 – 18.